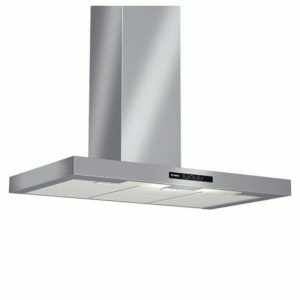 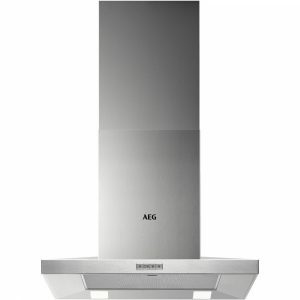 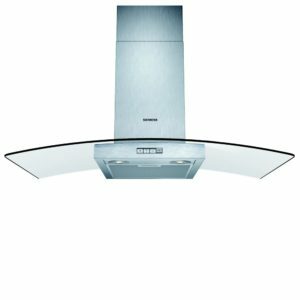 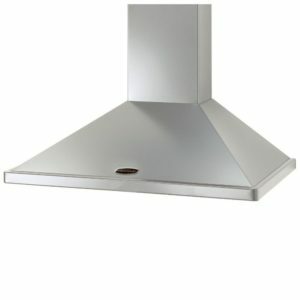 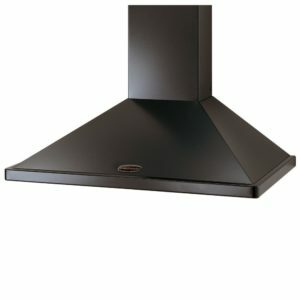 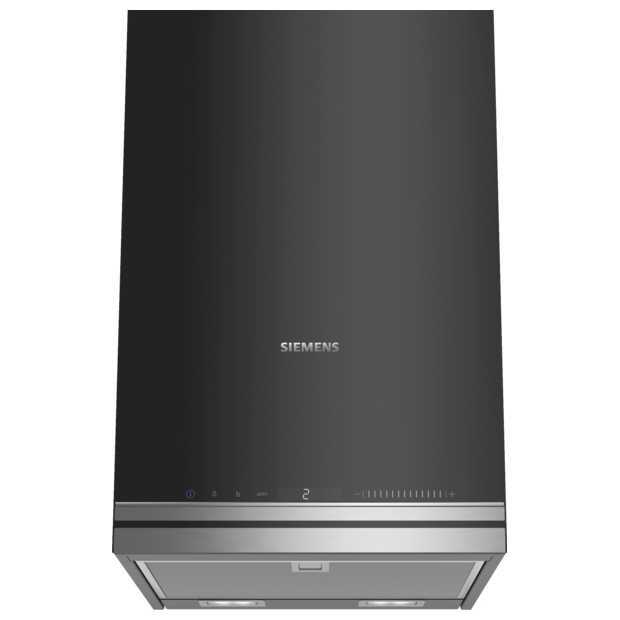 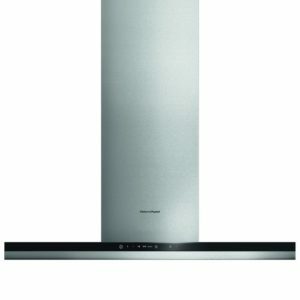 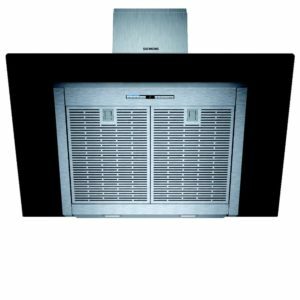 This superb chimney style cooker hood from Siemens is 33cm wide and boasts a 330m³ per hour extraction rate. 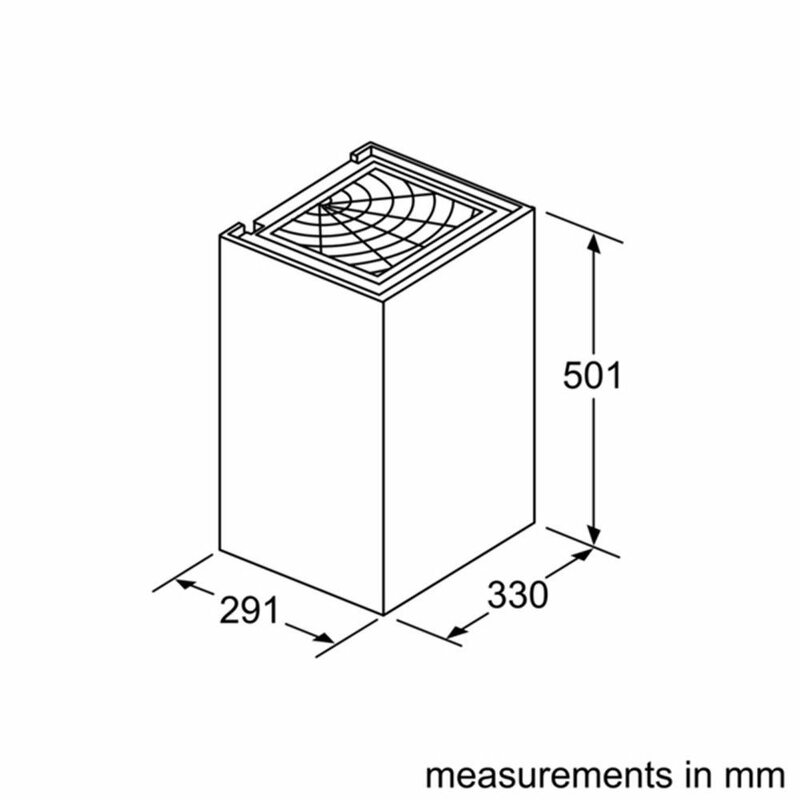 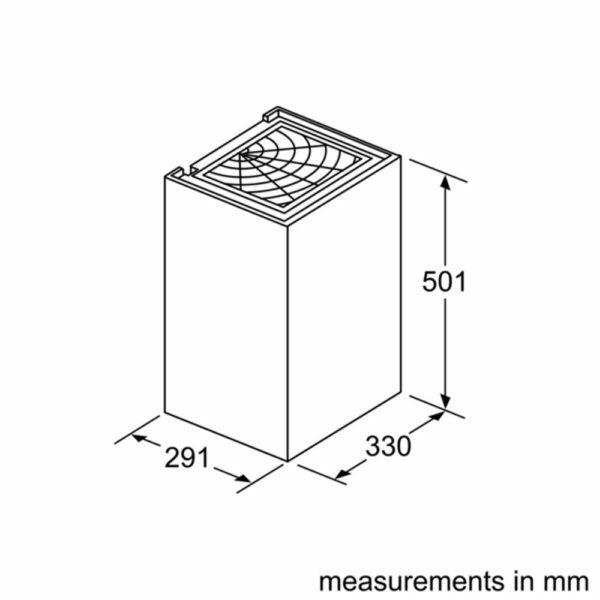 This unit is designed for recirculation only and will require optional charcoal filters. 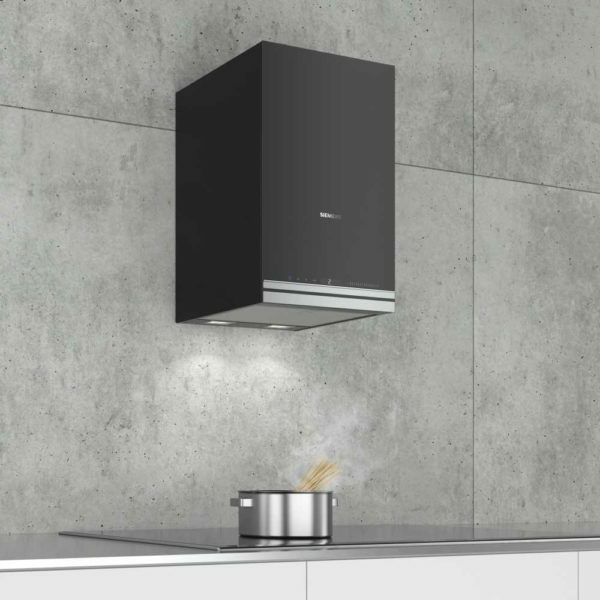 Finished in black and stainless steel it will create a real focal point in your kitchen. When you use the Home Connect App your appliance can be controlled or monitored remotely by phone or tablet using an App with a suitable WLAN connection.